It's been a week since the midseason finale of Freeform's Shadowhunters and we're still trying to catch our breath from everything that went down. Season 3B will air later this year but, if you're like us, you're not ready to put this show on pause until that time. So, who better to save the day than Harry Shum Jr., who plays fashionable and powerful warlock, Magnus? A hot new romance? New powers — and a loss of them? Clary? Find out what's to come in Season 3B! But [SPOILER ALERT!] since Magnus relinquished his powers in the finale to save Jace (Dominic Sherwood), what will Magnus be like without his powers? Will he lean on love-of-his-life Alec (Matthew Daddario) or is there a chance he could push him away? 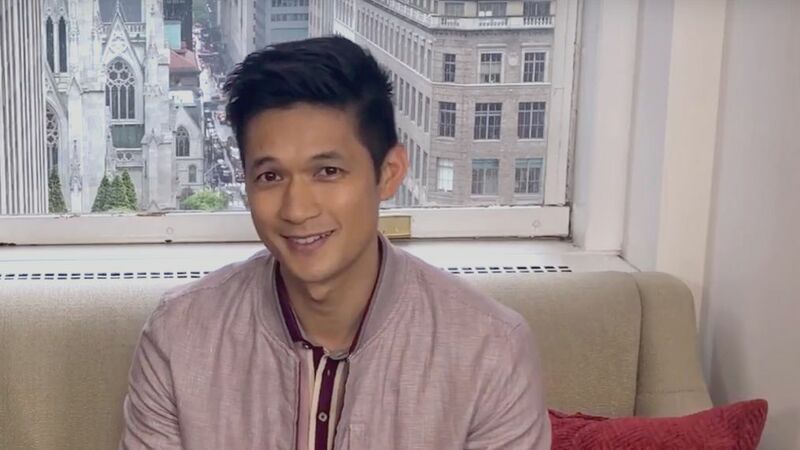 Shum stopped by our NYC offices last week after supporting the show at the ABC/Freeform Upfront and spilled on what we'll see in the new episodes. We also had to ask about his role in the upcoming movie, Crazy Rich Asians, starring Henry Golding and Constance Wu (Fresh Off the Boat). Shadowhunters returns later this year with Season 3B. Crazy Rich Asians hits theaters this August.